Where did I get it? I heard about it at Grrrl Con, where Natalie was a fellow attendee. Her book was published through Unbound, which is a different approach to publishing that seems to really work for people. The book was 99p on Amazon Kindle around the time of the conference, so I bought it. What's it about? There are three main story strands to the novel. Firstly, there's Jean, in the 1910s, who works in the Singer factory. The workers there go on strike, causing friction between Jean and her boyfriend Donald, and Jean's dad. Eventually Jean and Donald leave Glasgow for Edinburgh. Secondly, there's Connie in the 1950s. 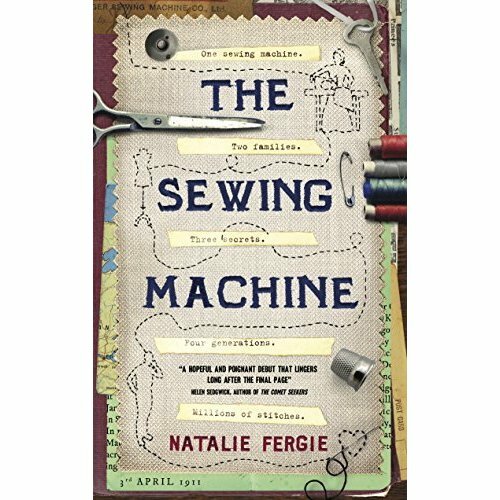 Connie is in her 30s and unmarried, and gets a job in the Sewing Room at Edinburgh Infirmary mending sheets and medical uniforms. 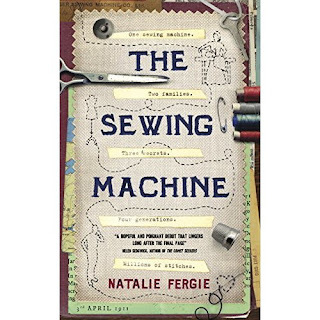 At home, she and her mum use an old Singer machine and document everything that they make or mend on the machine. Connie lives in a tenement flat in Edinburgh. Thirdly, there's Fred. Fred's grandad has just died and Fred is inheriting his tenement flat. Fred has been living in London and is not that nice of a person at the beginning of the novel. He is disdainful of all of his grandad's posessions and wants to get rid of everything. He goes to sell the old Singer machine, but the mechanisms are jammed. When he investigates, he finds the notebooks from Connie and her mother, and begins to piece together the past. The novel is deftly and cleverly woven together, and to begin with I found the swapping of points of view quite confusing, but once I got to grips with that I began to really enjoy each of the stories. I loved Jean and Connie, and although I initially disliked Fred I soon came to like him too. I enjoyed this novel a lot. What age range is it for? While this isn't a YA novel, I do think that an older reader could enjoy it, especially one interested in history and feminism. There's nothing too scandalous in it, although there's some talk of death and stuff like that. Try it if the subject matter appeals! How many stars? Four out of five. A really good book!